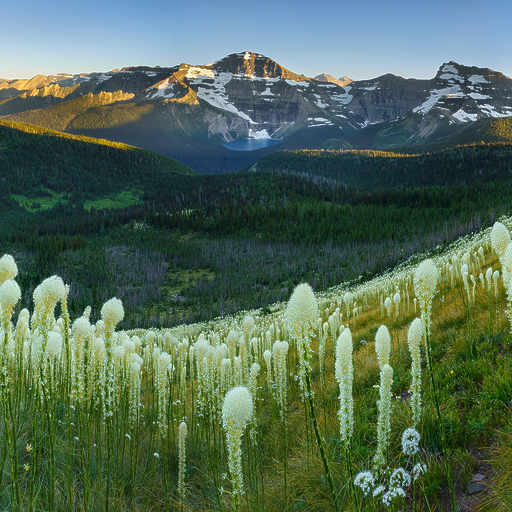 The most spectacular beargrass blooms I've ever seen are on the popular Cathew Alderson Trail in Waterton Lakes National Park. At about 6 km from Cameron lake, the south facing slope looks over to Lake Wurdeman and the rugged mountains of US Glacier National Park in the midst of this flower field. Not only is the view stunning, but the fragrance of the flowers is wonderful.